William B. Barnett is the principal in the firm of the Law Offices of William B. Barnett, d/b/a Barnett & Linn, Attorneys at Law, where for the past 35 years he has represented public and private companies in the areas of corporate and securities law, mergers and acquisitions, corporate finance, and venture capital transactions. His securities expertise includes public offerings, private placements, and ’34 Act compliance. He has extensive experience with a considerable array of entity choices, including joint ventures, limited partnerships, limited liability companies, and corporations, from formation through operations and dissolution. Mr. Barnett also provides counsel and advice to clients on corporate governance, which is especially important in view of recent developments in the rules and regulations relating to the SEC and major stock exchanges. His merger and acquisition work has included all types of reorganizations from reverse mergers to acquisition of assets. His corporate transactional work includes employment and consulting contracts, distribution agreements, employee benefit and stock option plans, and indemnity and financing documents including debentures and equity funding agreements. 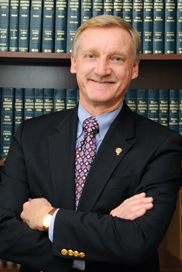 Mr. Barnett received his law degree from DePaul University Law School in Chicago, Illinois, after his undergraduate studies at the University of Wisconsin. Mr. Barnett was admitted first to the Illinois Bar then to the California Bar in January 1971. Mr. Barnett has been an enforcement attorney for the Illinois Securities Division and was an Examiner/Attorney for the Securities and Exchange Commission in Washington, DC, for over two years. He has taught in the paralegal programs at both UCLA and Cal-State Los Angeles for over seven years. He has served as a member of the Board of Directors of several publicly held corporations and formerly served as a trustee of The Viewpoint School in Calabasas, California. Mr. Barnett currently serves as a governor/trustee of the Idyllwild Arts Academy in Idyllwild, California. Mr. Barnett is a member the State Bar of California and its Business and Corporation Law Section. Roger Linn brings over 30 years of experience in business, securities, and corporate law, starting his career with 4 ½ years as an attorney with the United States Securities Exchange Commission. Mr. Linn has represented private clients with the formation of corporations, LLCs and partnerships, and counseled business clients as to management contracts, buy-sell agreements, stock option plans, corporate actions, and officer/director duties and liabilities. Mr. Linn’s securities practice includes private placements (Regulation D), foreign offerings (Regulation S), public registered offerings and SEC periodic reporting (Forms 10-K, 10-Q, Proxy Statements). He has worked with venture capital companies in the US and Canada. His securities practice often involves extensive dealings with the SEC and the California Department of Corporations on state and Blue Sky compliance. Mr. Linn has also handled numerous corporate transactions including mergers, reverse mergers, acquisitions, stock splits and debt and equity financing. Mr. Linn’s Franchise practice involves counseling both franchisors and franchisees, preparation of the FTC Franchise Disclosure Document and agreements. He also serves as a franchise arbitrator. 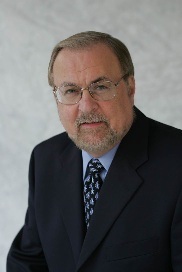 Mr. Linn earned his Bachelor of Science degree in Business and Finance in 1971 from Drake University in Des Moines, Iowa, and he obtained his Juris Doctorate degree in 1978 from California Western School of Law in San Diego, California. Mr. Linn’s experience includes active duty in the United States Navy (1971 – 1975) and as a Captain (0-6) in the Judge Advocate General Corps, United States Navy Reserves, retiring in 2009. Having served 32 years in the Navy, he has twice served as Commanding Officer of Navy Reserve JAGC units. Prior to starting his own law firm in 2010, Mr. Linn was a partner with Duncan Linn & Wade (2007-2010), Of Counsel at the Sacramento office of Weinstraub Genshlea Chediak (2000-2007), and partner at Bartel Eng Linn and Schroeder (1995-2000). Mr. Linn is a past president (1995-1996) and Rotarian of the Year (2011) of the Rotary Club of Roseville, CA, and helped form the Sacramento Philharmonic on a pro bono basis and is a former member of the Executive Board of Golden Empire Council of the Boy Scouts.